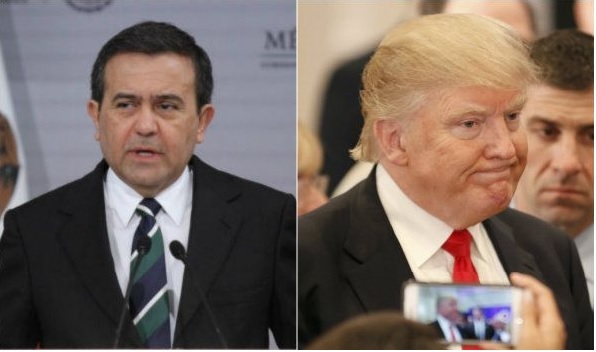 Country-specific rules of origin within the North American Free Trade Agreement (NAFTA) would be “totally unacceptable”, Mexico’s Economy Minister Ildefonso Guajardo said on Friday March 17. Under the trilateral trade deal between the United States, Mexico and Canada, rules of origin can specify that products must meet minimum regional (NAFTA-wide) content requirements to be tariff-free, but there are no national content requirements. Talks to renegotiate NAFTA should move ahead regardless of the timetable for U.S. tax reform, Guajardo told reporters at an event in the northern Mexican city of Monterrey. Previous post Spring Breakers chant “Build That Wall” in Cancun!